Halloween is all about picking the right costume, doing the right face painting and decorating with the right pumpkins. But it’s nothing without the spooky music! 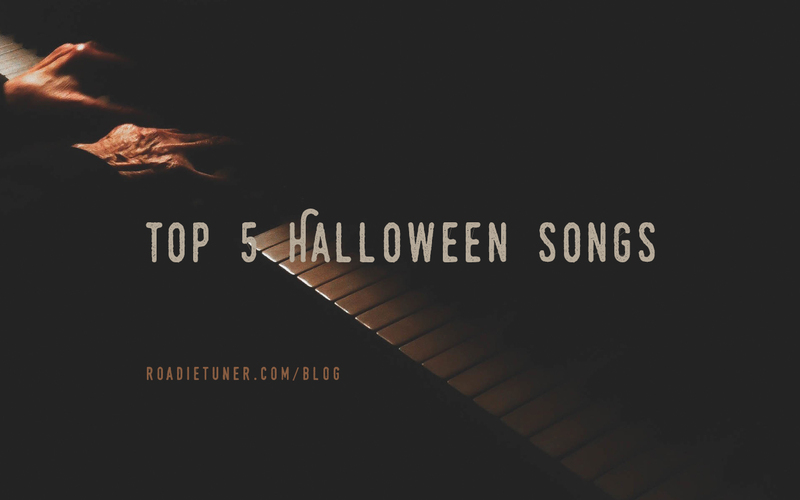 So, for you to be able to enjoy this year’s Halloween to the fullest, we’ve come up with the top 5 scariest songs that you should include in your playlist! Are you ready for the spookiness? You can instantly feel the freakiness of the song just seconds after it starts. Jonathan Davis’s unique vocals add an extra layer of ghostly-like feeling to the song. Wait until you reach 2:38′, and you’ll know what we mean. Well, this one is a no-brainer. The awesome Iron Maiden classic is perfect for your Halloween playlist! The Guitar and Bass intro, the riff, the vocals, legendary stuff! Those of you who grew up playing this game will definitely relate. How cool was it!? But we’re here to talk about the music. So, this soundtrack can cover about half an hour of your Halloween night party, and it will do so splendidly. The mix between piano-chilling and blues-thrilling tunes will keep you and your friends in the Halloween spirit. Not to forget the exceptional vocals that are everywhere in this track. Btw, the game was made available recently on the app store! This version of the song starts with a typical Halloween scary tune, but then instantly changes to an upbeat and exciting song! We promise you that this will get everybody dancing in no time. Time to get really spooky with this one! Marilyn Manson’s version of Tim Burton’s Nightmare before Christmas soundtrack is THE song to get you in the perfect Halloween mood. Prepare to be Halloween-ed! Well, those were only 5 songs, as there are so many other amazing songs which could be added to this list. Let us know how your playlist will look like this Halloween on Roadie Tuner’s Facebook page.